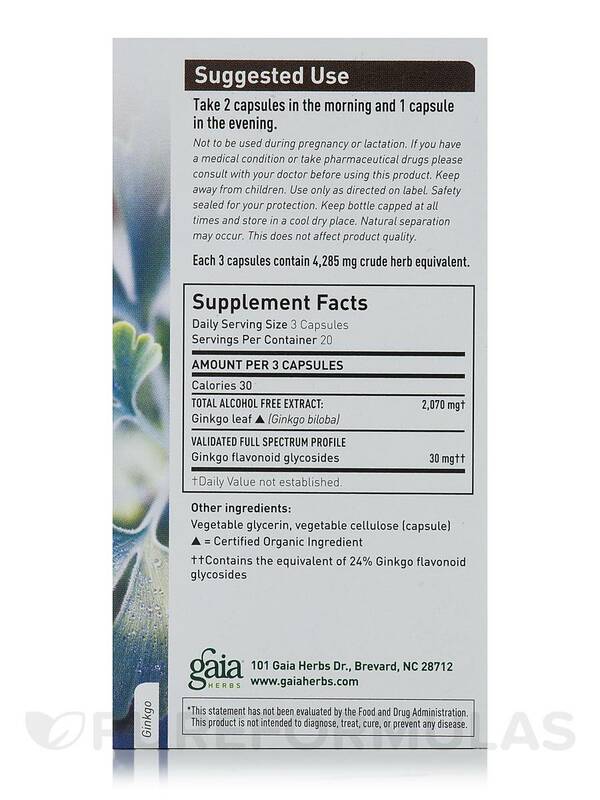 Promote healthy flow of blood to your brain to support cognition and other functions with Ginkgo Leaf Capsules from Gaia Herbs®. 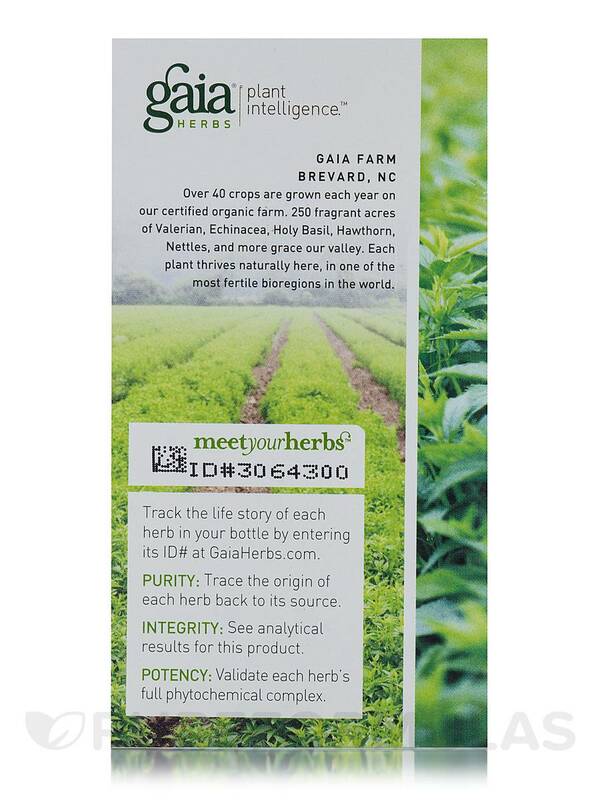 This dietary supplement may provide you with Ginkgo flavonoid glycosides along with phytochemicals and antioxidants to develop your cognitive ability. Ginkgo leaf or Ginkgo Biloba appears to support oxygen flow to your brain to improve attention‚ memory‚ concentration‚ and energy. Its antioxidant properties appear to repair molecular damage and protect your brain from oxidative stress. Ginkgo may also prevent cell damage and keep some effects of aging at bay. 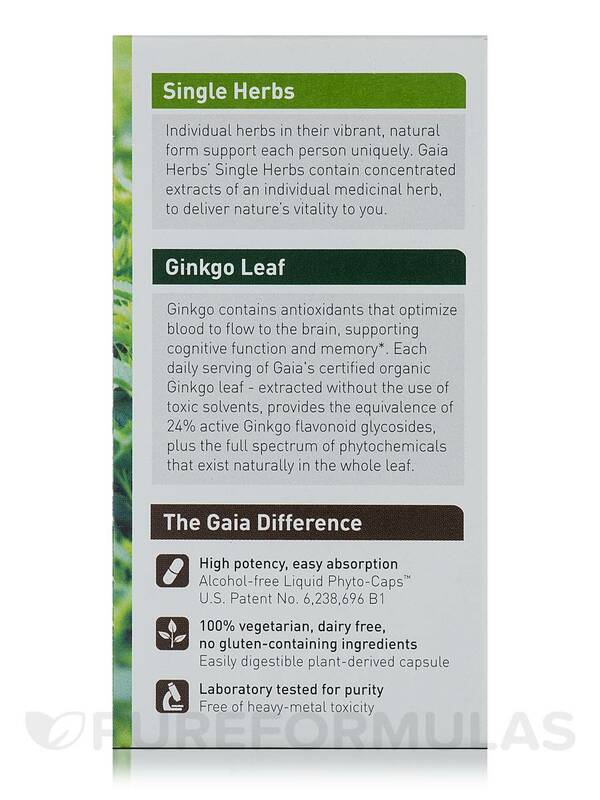 The presence of ginkgo in this dietary supplement from Gaia Herbs® could potentially support a healthy mood. 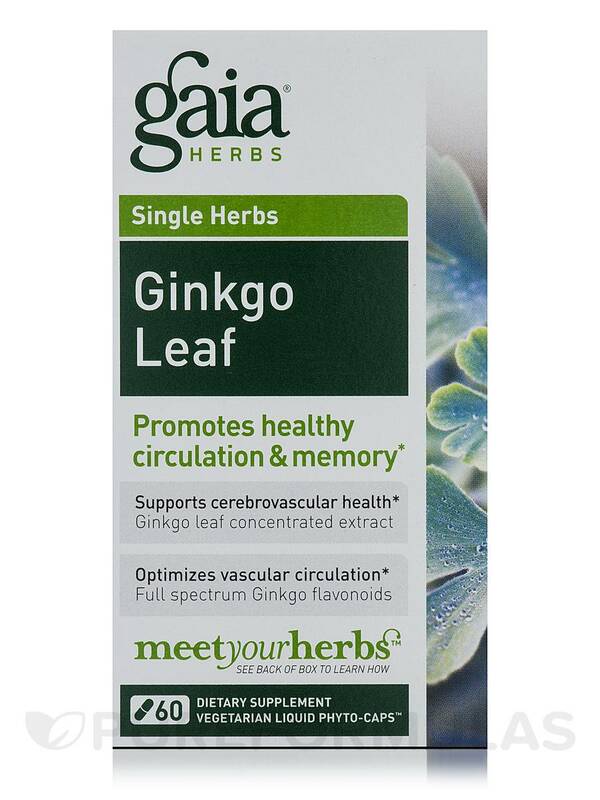 Apart from maintaining good cognition‚ ginkgo leaf extract reportedly reduces anxiety‚ bladder‚ respiratory and intestinal issues‚ and promotes heart healthy living. It may also keep your eyes‚ ears‚ and legs functioning properly. 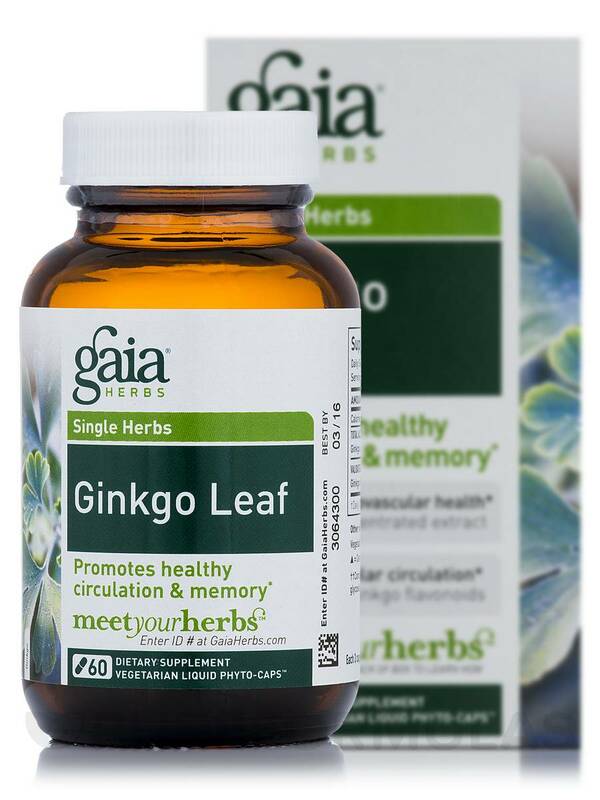 Take your daily serving of Ginkgo Leaf Capsules from Gaia Herbs® to potentially reduce bacterial and fungal infections‚ improve blood circulation in your body‚ and support cognition. Take 2 capsules in the morning and 1 capsule in the evening.